Stamina is a new system for Red Dead Redemption 2, and this guide will show you how to permanently boost the meter. Rockstar has introduced a brand new stamina meter for Red Dead Redemption 2, and it's an absolutely vital part of the game. In this Red Dead Redemption 2 stamina guide, we'll be walking you through how to upgrade your stamina in Red Dead Redemption 2, so Arthur Morgan can sprint for longer, and throw more punches in a brawl. But if you instead need any other details on Rockstar’s new game, you’ll want to head over to our Red Dead Redemption 2 guides hub. It’s on this main page that you can find a complete beginner’s guide to the game, as well as our full guides index, covering a variety of different, in depth topics. 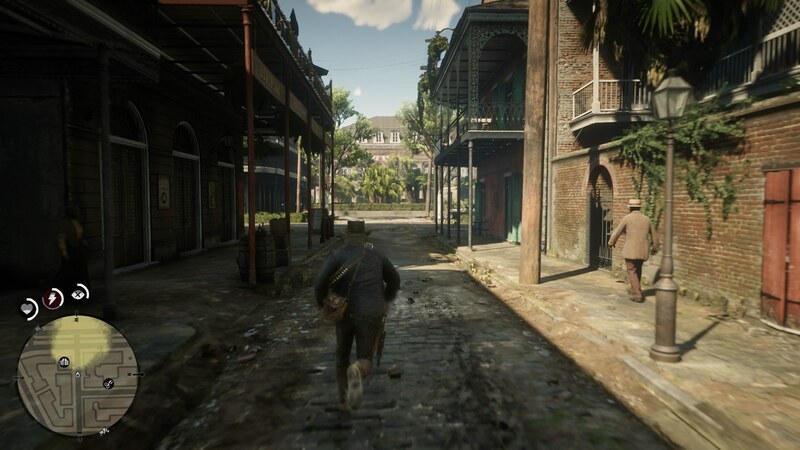 When you’re roaming the open world of Red Dead Redemption 2, you can sprint by repeatedly tapping X/A. However doing this drains your Stamina meter, represented by the circle with the lightning symbol, just above the mini map near the bottom left corner of your screen. At the beginning of Red Dead Redemption 2, you start out with roughly a third of the Stamina meter available to Arthur Morgan. He’s not in the best of shape it seems, and so every time you’re out and exploring the open world on foot, you’re steadily increasing your Stamina meter as you go. Every time you either sprint, or get into a fistfight, you’re building up your maximum Stamina. Whenever you hit a new threshold, a small notification will pop up, telling you that you’ve increased your Stamina meter by another level, and that your maximum Stamina has now increased. Simply put, you need to start sprinting and getting into more brawls, if you want your Stamina meter to rise in Red Dead Redemption 2. Stamina in Red Dead Redemption 2 is a key attribute, and allows Arthur Morgan to sprint. This is the only move in the game that uses stamina, but it's a key move if you are constantly getting into trouble with the law. If Arthur's stamina meter runs down to nothing it will slowly start to refill, but you can also use a tonic to give you an instant boost. We’re now all done with this Red Dead Redemption 2 guide, but there’s plenty more coverage of the game here at USgamer. You can check out our Red Dead Redemption 2 fighting guide if you need to brush up your brawling skills, or our page on how to increase your health in Red Dead Redemption 2, so Arthur can live to fight another day.